A lot of us have dreams of being a tech guru or robotic wizard of sorts. But, sadly not too many ever get to realize the dream. Why? Intimidation. Time. Cost. There may be other reasons for some, but those are largely key factors as to why folks don’t explore their ambitions. If you’ve ever looked into DIY electronics, you’ve more than likely come across Make:. For nearly 15 years now the magazine has broken down how computers, robotics, and other electronics work. It’s a premier name in the space of gadgetry and tinkering. Make: has compiled some of its most useful training into a series of 15 eBooks. 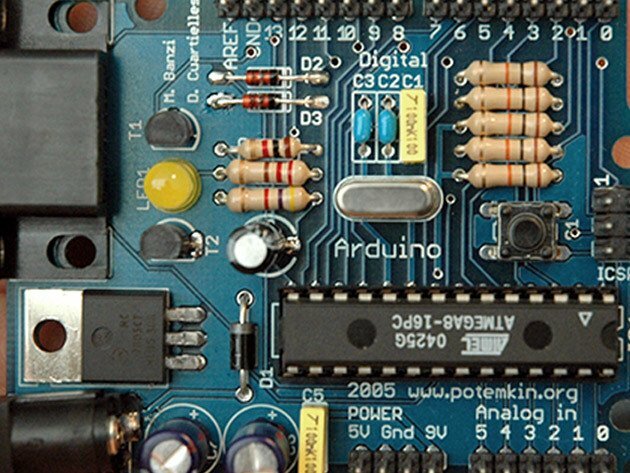 The collection is all about Arduino boards and circuits. It’s a whole library of goods on sensors, synthesizers, wearables, and more. The best part? It’s dirt cheap! The Make: Arduino Hacker eBook Bundle is valued at around $280 but, for a limited time, you can scoop ’em all up for just $19.99 from AndroidGuys Deals. That breaks down to a little more than a dollar a piece. You can pick up Make: Arduino Hacker eBook Bundle for only $19.99 right now through the AndroidGuys Deals Store. Worth upwards of $280, it’s offered to AndroidGuys readers at a discount of 92 percent.